Iranian art works, traditional costumes, calligraphy and paintings are on display in an Iranian festival of culture and arts in Jakarta. A festival of Iranian culture and arts has been launched in the Indonesian capital city of Jakarta with presenting various programs. The festival was planned in a bid to introduce Iran’s cultural and artistic capacity to the Indonesian visitors. 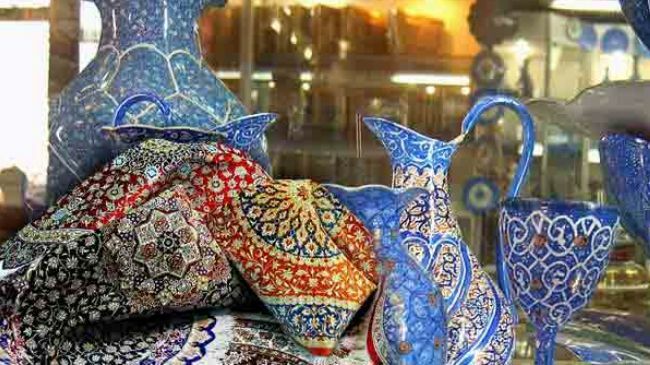 Organized by Iranian cultural office in Jakarta, the festival hosted a number of Indonesian tourism officials, Jakarta’s handicrafts masters, and several ambassadors of Islamic countries in Indonesia. The festival includes various programs such as exhibitions of traditional costumes and art pieces, calligraphy, and Persian paintings. The two-day event also displayed Iranian New Year, Nowruz, celebration and its customs. Indonesia and Iran have expanded their cultural exchanges during recent years.